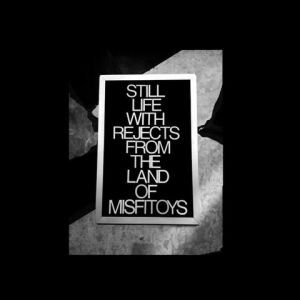 Former Woods bassist and Babies’ frontman KEVIN MORBY’s second solo album, Still Life, is a rugged collection of searching, heartbroken, NYC-inspired tunes that from first listen sound instantly familiar. As soon as I dropped the needle on this one, I felt this odd sense of déjà vu. Perhaps it is just Morby’s sense of displacement rubbing off on me on some unconscious level. Opening track, “The Jester, The Tramp & The Acrobat,” begins with the singer musing as if all of the perpetual touring has twisted his life into some kind of existential möbius strip. It’s an album filled with desperate and lost characters. Take the driving “The Ballad of Arlo Jones,” and the murderous contemplation of “Bloodsucker.” Although it remains ambiguous weather the blood on the metaphorical walls is real or imagined, the pain inflicted either way is obvious. Though Mr. Morby recently relocated to Los Angeles from New York City, it’s clear that the spirit of his former home hasn’t left him. With his self-described elegy to king of the city, Lou Reed, taking the form of the slow walking “Parade,” replete with its dark sunglass-wearing saxophone lines and VU-era inspired guitar riffage. There’s also the dingy after-hour vibes of “Dancer,” which one certainly can’t imagine being inspired by a place as sunny as The City of Angels. The album closes with the acoustic “Our Moon,” a song that seems to channel early freewheeling-era Dylan mixed with strains of Townes Van Zandt to stunning effect. It’s clear by the end of the album that a new day is dawning and a new chapter is beginning; even if it’s just a temporary shelter from the storm for a man always in motion. BUY the LP from Woodsist on October 14th ! Posted on October 13, 2014 by the13thtrackPosted in LP, ReviewsTagged alternative, ethereal, Kevin Morby, singer-songwriter, Still Life, Woodsist Records.